Flyers general manager Paul Holmgren. That’s because Niittymaki had previously expressed interest to Holmgren in getting into the world of scouting when his career was over. So, after one final go last season in the Finnish Elite League playing for his hometown team of TPS Turku, Niittymaki made that call. Antero Niittymaki will try to help the organization who gave him a chance to play in the NHL by finding top talent in Europe as a new scout for the team. “I always liked it there [in Philadelphia],” Niittymaki said. “I had a great seven years there. I kind of grew up with the organization in the minors and then got a chance in the NHL. I was able to kind of get my name out there with the Flyers and I always felt that was my team. That organization was closest to me. I like the way the organization works and all the people there and everything about it. It’s where I always wanted to be. The conversation went well with Holmgren, and the Flyers added Niittymaki to the scouting staff. He will work primarily in Europe, scouting alongside fellow Finn Ilkka Sinisalo. Niittymaki’s primary responsibility will be scouting European goaltenders, but he said he will also take notes on some skaters as well. “Over the last few years, my hips were so bad I knew I wasn’t going to have a long career anymore,” Niittymaki said. “I started thinking more and more [about what was next] and I kept coming back to [the fact] that I liked watching games and I liked analyzing players. Holmgren had been talking with Niittymaki about this possibility for more than a year, and feels that Niittymaki is a cerebral guy who will fit the bill nicely. “You don't need to spend much time with Antero to get a feel for his knowledge of all aspects of the game, and what it takes to play at the highest level,” Holmgren said, adding that the team also was looking to add a European scout to focus on identifying goalie prospects overseas at a younger age. But he added that he thinks Niittymaki has the makings of the kind of guy who can do more than identify good goalies. “We believe Antero's understanding of the game will make him a good all around scout," Holmgren said. For his part, Niittymaki is hoping to make Holmgren a sage. 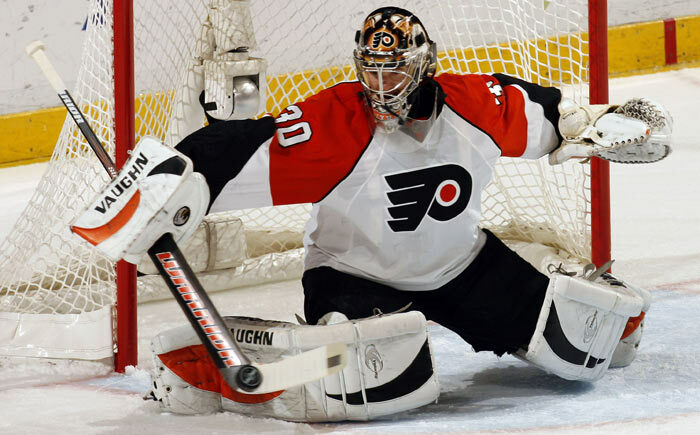 Nittymaki, who turns 33 next week, burst on the scene with the Flyers as a fill-in on the 2003-04 team, winning all three of his starts with the Flyers with a 1.01 GAA and a .961 save percentage. He had a strong season that year with the Philadelphia Phantoms of the NHL while splitting time with Neil Little but took over the starting role for the Phantoms during the 2004-05 season while the NHL was locked out for an entire year. In what was considered the best season in the storied history of the AHL with so much NHL-caliber talent playing as a result of the lockout, Niittymaki shined, having the best season of his professional career. 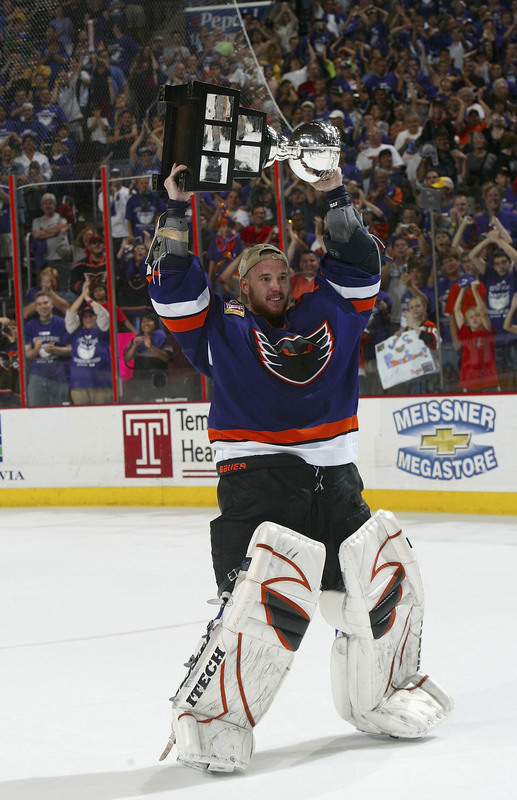 He finished 33-21-4 in 58 games with the Phantoms with a 2.07 GAA and a .924 save percentage. He carried that strong play over into the Calder Cup playoffs where he backstopped the Phantoms to their second Calder Cup championship, finishing with a stellar 1.75 GAA and a .943 save percentage while going 15-5 in the championship run. For that effort, Niittymaki won the Jack A. Butterfield Trophy as MVP of the Calder Cup Playoffs – the AHL equivalent to the Conn Smythe Trophy. Niittymaki spent the next four seasons with the Flyers, but never was able to seize the spotlight as a go-to goalie, mostly because of injuries to his hips. He spent the next two summers as a free agent, first signing with the Tampa Bay Lightning and then with the San Jose Sharks. After being waived by the Sharks, he played one more season in the AHL with two teams before heading back to Finland to finish his career this season with Turku. Originally drafted by the Flyers in the sixth round (No. 168 overall) of the 1998 NHL entry draft, Niittymaki played 161 games for the Flyers, eighth-most in team history. He finished with a 62-61-23 record and a 3.01 GAA. His 62 wins rank 12th on the Flyers all-time list.